Over the past 25 years, MMA (Mixed Martial Arts) has evolved from barbaric, organised brawls to the fastest growing sport in the world, mainly due to the growth of the Ultimate Fighting Championship (UFC). Now valued in the region of $4 billion, the UFC has seen a meteoric rise in popularity, transcending the sport of MMA. The UFC was originally founded by Art Davie, Rorion Gracie, Bob Meyrowitz and Campbell McLaren, with the first event staged in Denver, Colorado on 12th November 1993. This event was based on an eight-man tournament format featuring fighters from various disciplines such as; Karate, Brazilian Jiu-jitsu, Wrestling, Boxing, Kickboxing and Taekwondo. Fought in an octagon shaped cage, the idea was to pit fighters from different fighting backgrounds against each other to see which martial art would be superior. Royce Gracie, a master in Brazilian Jiu-jitsu overcame 3 opponents in the night to win the tournament. Now, it is difficult to associate this event (and other early UFC events which continued this format) with sport. It was brutal. There were no weight classes, no gloves, no judges, no time limit and virtually no rules for that matter. However, these events became very popular among fans allowing the UFC to put on more shows, attract big names, building their roster and building an audience. Before they knew it, they were creating a sport. Today, the popularity of the UFC has exceeded all other fighting sports and now consistently achieves more pay-per-view (PPV) buys than boxing and even rivalling the WWE. Since Zuffa LLC purchased the organisation back in 2001, their growth has relentlessly snowballed, branching out into new countries every year with UFC 200 expected to exceed its record of approximately 1.6 million pay-per-view buys obtained at UFC 100 in 2009. This growth has helped MMA mature into a finely tuned sport, building the reputation of the UFC. The expansion of the UFC has been portrayed in the growing number of events in the last decade. 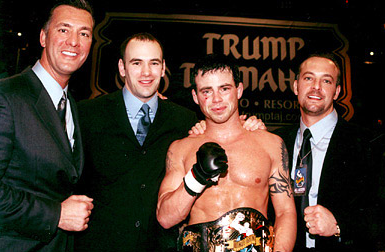 This growth has been attributed to the efforts of their ambitious owners; Frank and Lorenzo Fertitta and Dana White. It is clear to see their ambition just in the sheer number of events they have held since their take over in 2001. They have also been determined to expose their brand in new countries catering for the swelling demand across the globe. 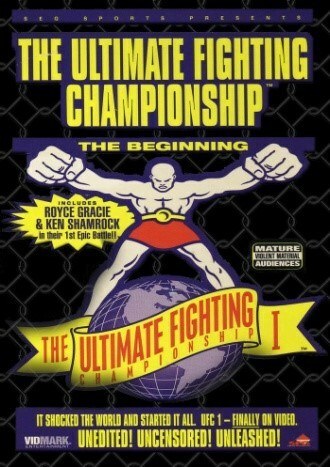 Key milestones in the growth of the UFC came on the turn of the millennium. In 2001, the New Jersey State Athletic Control Board began regulating all fights enforcing the ‘Unified Rules of MMA’. This increased the safety of fighters helping build the reputation of the brand and the sport in general. A year later, the UFC was purchased by Zuffa LLC. Since then, the developments have spiralled. Five new weight classes were introduced forming the structure of the new-look UFC. Other key developments sparking the growth of the UFC included expanding into new countries and acquiring rival fighting organisations which helped them become the monopoly of MMA fight organisations. This power allowed them to experiment with TV shows such as the reality series, ‘The Ultimate Fighter’. This was a risk, but an extremely fruitful one. 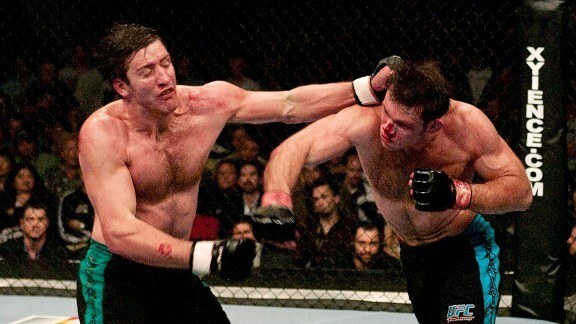 Finalists, Forest Griffin and Stephen Bonnar put on one of the best fights in UFC history in the finale attracting vast amounts of viewers, even as the fight was airing. The reality aspect of the show attracted a new generation of fans as they gained a terrific insight into the life of a fighter. 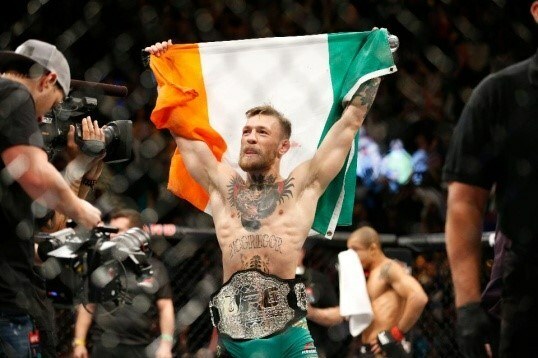 By 2012, MMA is now a fully recognised and respected sport and the UFC is even rivalling boxing for PPV numbers. With several opportunities and avenues explored by the Fertitta’s and Dana White, they developed their brand one step further by introducing a women’s division. 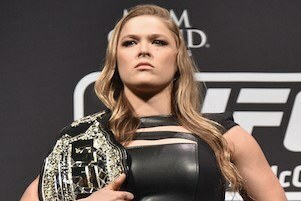 Cue the first female UFC champion; Ronda Rousey. The character and dominance of the Judo Olympian, built a superstar. Appearances in films, the WWE and multiple magazine covers, garnered attention around the world, spiking the media coverage of the UFC. 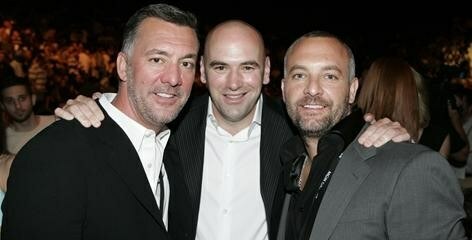 Dana White and brothers; Frank and Lorenzo Fertitta were perfect candidates to lift the UFC from near bankruptcy into the mainstream. The Fertitta’s were raised in the fight capital of the world, Las Vegas where they ran their hugely successful gaming and casino business, ‘Station Casinos’ whereas Dana White grew up in the fight industry as an amateur boxer, trainer, promoter, manager and even ran his own ‘boxaerobics’ business. The key factor however, is that they are all huge fight fans and have been ruthlessly determined to grow the brand to fulfil its potential. Utilising their substantial financial platform, knowledge of the fight game and entrepreneurial prowess, they have been able to constantly innovate with new ideas, concepts and high profile partnerships from Fox Sports to Reebok. This ambition has only grown since they took the realm in 2001 and the fruits of their labour have been represented by the seismic popularity of the UFC and consequently, MMA as a sport. The marketing of the UFC has been a well-oiled machine, unwavering in their attempts to promote fighters, events, TV shows, publications and merchandise in every outlet possible. Embracing new technology and online platforms, they have managed to reach a huge audience, young and old, whether they are fight fans or not. When superstars are made such as Conor McGregor and Ronda Rousey, the UFC ensures they are showcased, making as much noise as possible enforcing media obligations and encouraging them to be as active on social media. Dana White has spearheaded an aggressive social media policy. Utilising the reach and space the likes of Facebook and Twitter cover, Dana has ensured official UFC accounts as well as his own, are incredibly active and engaging. Dana himself has nearly four million Twitter followers which, for a CEO of a sports organisation, is colossal. The difference in the UFC’s approach to using social media compared to other major sports is how they have bridged the gap between fans and athletes. Dana has taken on a fully interactive approach, engaging directly with fans and reporters. He has insisted his employees, the fighters take on the same approach, even offering fiscal bonuses for Twitter use. Their coverage and promotion has been unprecedented, listening to fans and providing them with fights they want to see. Also, their pioneering use of Facebook to stream live fights for free has really separated them from other major sports. Dana and the Fertitta’s have been very creative, exploring a variety of angles for opportunity. To build on the success of their PPV events, the UFC introduced Friday Fight Nights and the successful reality TV series; ‘The Ultimate Fighter’. These shows were to be aired on broadcasting powerhouse; Fox Sports after they struck a seven year deal back in 2011. 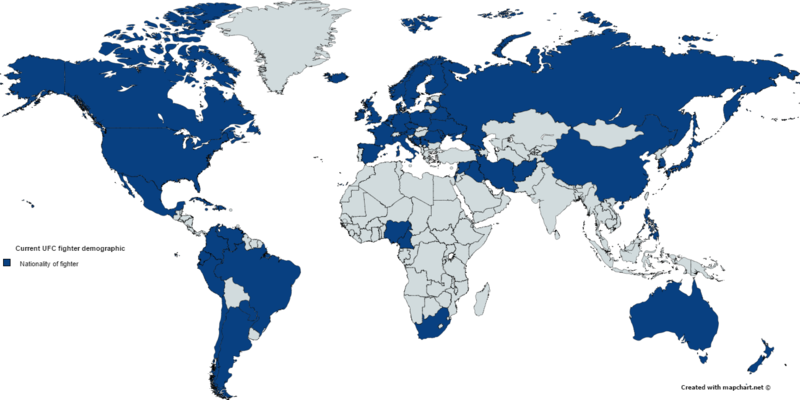 This deal sparked many more around the world with major broadcasters in countries such as; Brazil, UK, Canada, Australia, China, India and many more. Another successful innovation was the creation of ‘Fight Pass’. This was subscription based, providing fans with an archive of events as well as live fights on preliminary cards. These deals and innovations were huge catalysts in the growth of the UFC making fights available to watch all over the world. Since their purchase in 2001, they have worked closely with State Athletic Commissions to enforce several fouls, stricter rules of conduct and heavy sanctions for doping. In 2015, they even set up an Anti-Doping Program which has already made ground in cleaning up the sport. They have also introduced lighter weight classes for men and brand new divisions for women, making the sport more appealing and more accessible for amateur fighters. The growth achieved by the UFC has allowed them to sweep up virtually every rival organisation. In 2007, their largest competitor was Japan based; ‘Pride Fighting Championships’. Here, they acquired legendary fighters such as: Mauricio Rua, Wanderlei Silva, Dan Henderson, Antonio Rodrigo Nogueira and Mirko Filipovic. They then went on to acquire ‘World Extreme Cagefighting’ and ‘Strikeforce’. They have also recently formed a partnership with women’s promotion, ‘Invicta’ to air all their events on Fight Pass. These acquisitions have solidified them as the most dominant and leading organisation, extinguishing the threat of rival organisations while ensuring they had all the best fighters in the world on their roster. What the owners have achieved is simply remarkable. The UFC was nearing bankruptcy when they approached them in 2001. The brand had minimal exposure and MMA had a poor reputation, banned in 36 states including New York. They managed to uproot and lift the tainted brand to unimaginable heights and in doing so, created a legitimate sport. This has given birth to a generation of genuine ‘mixed martial artists’ in the upper echelon of athletes. The owners saw the potential and exploited it. Dana White fronted bold decisions and took risks but it was these decisions and risks that ignited growth. From broadcast deals to Brock Lesnar, they persistently innovated to reel in new fans and give existing fans exactly what they want. Dana’s honest and vocal approach separated himself from other sporting CEO’s, engaging directly with fighters, fans and the media. The owners leveraged all their skills and resources to turn a $2 million business into a $4 billion one, transforming an underground sport into the fastest growing sport in the world but most importantly, they have provided the world with some of the most electrifying competition and entertainment in sport.